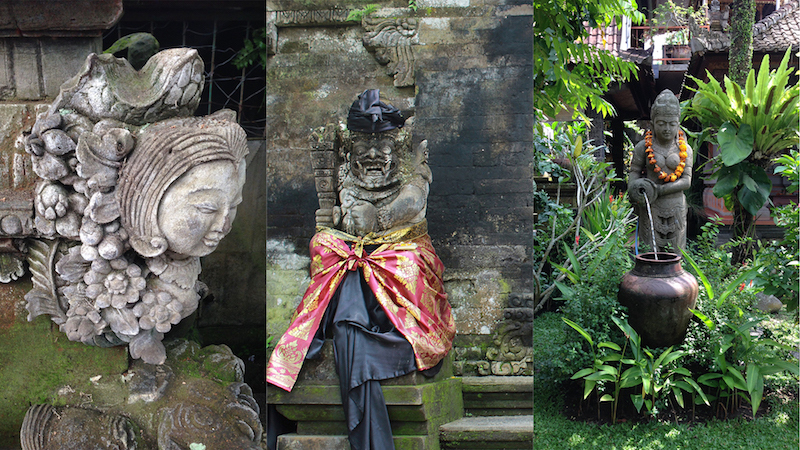 On the island of Bali in Indonesia, art is necessary nourishment for life. Here, art, spirituality and beauty offer an antidote to a densifying and increasingly stressful world. 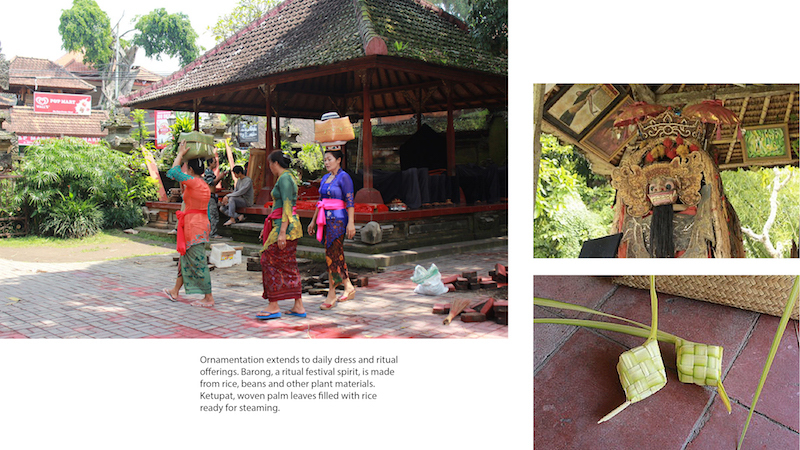 In Bali, the arts are integral to everyday life – every activity is done with care and infused with beauty. 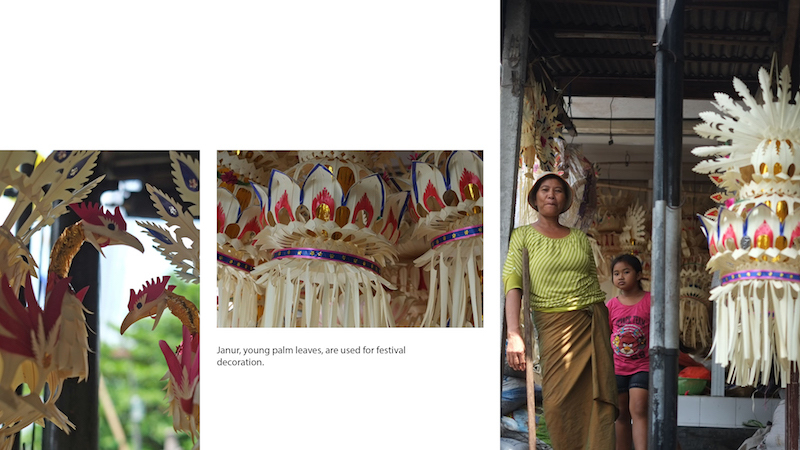 It is said that traditionally the Balinese have no words to describe art; it is all just a way to connect with the spirit. The unabashedly vivid colors of the fabrics and flowers, the sound of the music, the dance, the smell of the incense, the distinctive carvings and architecture–these all attract visitors from around the world. But in Bali the approach to what we consider art is not for the benefit of tourism; rather it is an adaptation to the unpredictable and at times violent environment. Contrary to what one might expect, Bali would still be as it is, in all its beauty, without any visitors–for it is the Balinese way of life. At first glance Bali seems remote and disconnected from the problems of global population increase and urbanization, yet from an urban design perspective Bali shows what is possible. 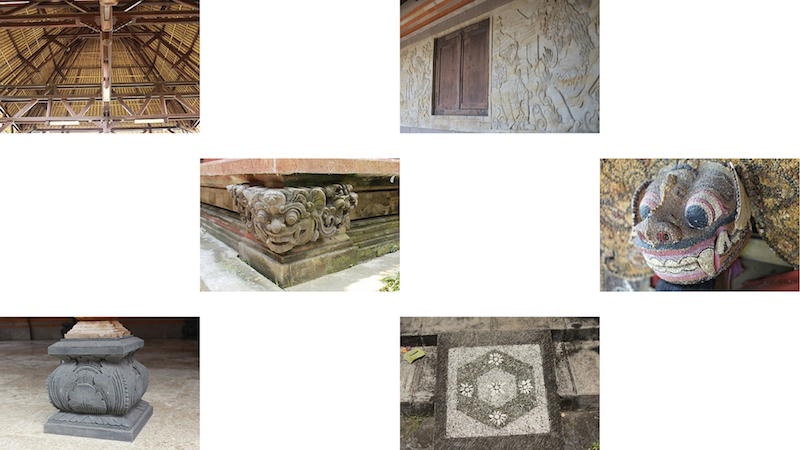 The Balinese approach stems from the environment; we can tease out the essence of that approach to help us address the challenges of future cities. Bali is actually densely populated, a volcanic island with areas of rich soil that are cultivated for rice production, a staple food in most of Asia. Traditionally, extended families live in compounds, where individual privacy is lacking. Life is lived communally and collaboratively. Temples, or “Pura,” are the public spaces where people of all backgrounds can find respite and calm, or can celebrate life. Every space is designed with serenity and beauty in mind as an offering to the ancestors and the spirits – yet it is really for the benefit of the living. There is a harmonious balance between the arts and faith, between the day-to-day routine and religious observance. A sense of continuity emerges from the cycles related to religious practice. 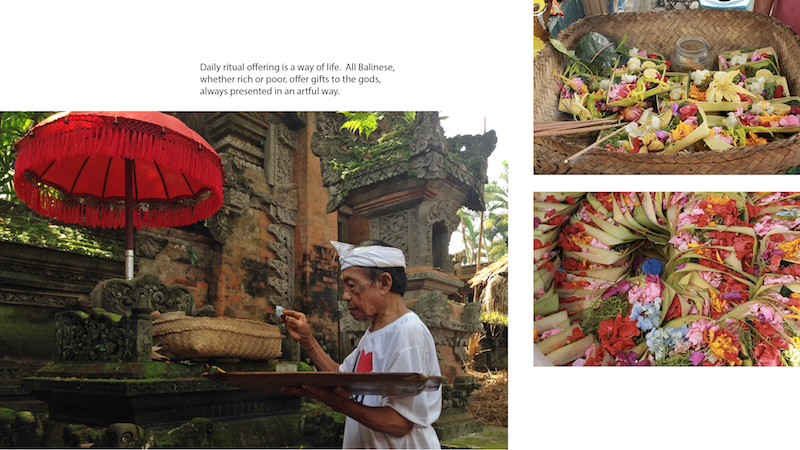 All Balinese, whether rich or poor, offer gifts to the gods, always presented in an artful way. The frequent religious festivities restore a sense of peace. During Nyepi–Day of Silence–which occurs once a year, everything shuts down, including all transportation, even the airport. Nyepi means “to quiet,” and it’s a cleansing of all the “noise” of everyday life—a way to reboot oneself. 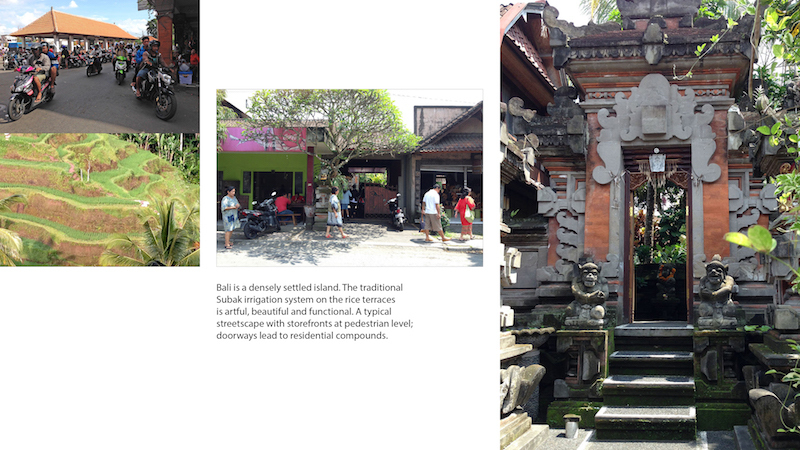 The lessons of Bali apply to increased densification in our urban settings. As the world’s population grows and becomes more urbanized we are in danger of caring only about the numbers, such as square footages and cost. Developments are judged solely on their efficiency. We are remiss if we do not consider art and beauty as an integral part of the environment–something to be considered as a necessity. 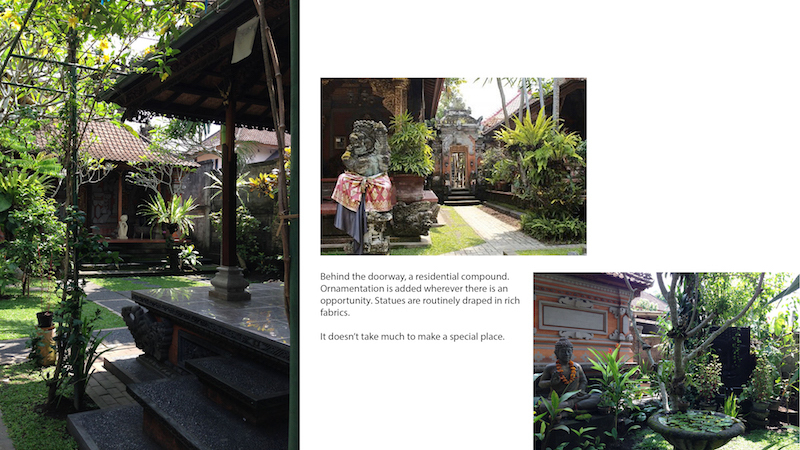 Taking the lessons from Bali, this paradigm has to be at the core of our urban design approach. Awareness of beauty and mindful creation of beauty are coping mechanisms to have a high quality of life in a very dense environment. With the explosive growth of the world’s population, the shift to urban areas is inevitable. Among immigrants it has often been the case that a family member establishes a beachhead in a new community and other family members follow. Currently the “sandwich” phenomenon is increasingly prevalent: grown children return to live in their families after their education is finished or older parents move into their grown children’s homes. In the near future, different living configurations will continue to be the norm. As the world’s population grows, neighbors increasingly will be in closer proximity. It is unconscionable to have vast wasteful urban plazas or densely populated housing developments without any respite. Integrating artful public spaces at all scales will help feed the individual and communal spirit and provide relief from the daily chaos. Beautiful spaces can help bring down the walls that isolate people; they can provide a sense of surprise to break the daily routines of life. Imagine a world where art is not about museums, but rather about the quality of life, ensuring a sense of health and happiness. In a world where space is premium, making the most of every nook and cranny will be critical. So yes–in our future, art and beauty have to be a part of everyday life. Art should not be confined to the wealthy, it should be accessible to all; it is a matter of social justice. Art is the magic potion that can transform a city into a community and a community into a home. This article was first published in Loeb Lab 8, a publication of the LOEB Fellowship, Graduate School of Design, Harvard University, July 18, 2014.